Three years ago, I remember walking out of the first Avengers movie with a big smile on my face. Seeing all my favorite heroes together on the big screen in a good movie was cool enough, but what added to that excitement was how entertaining and interesting Loki was as a villain. Tom Hiddleston had so much charisma that he’d become one of my favorite Marvel villains. Loki was a one of a kind Marvel villain then, and he’s one of a kind now. Take the sneering demi-god with a tragic backstory and put him up against another antagonist like Yellowjacket from the recently released Ant-Man movie, and it soon becomes pretty clear whom the better villain is. One of my biggest complaints about Ant-Man is that while Corey Stoll tries so hard to make his character interesting, Darren Cross is just one more boring Marvel bad guy looking to make money and/or destroy the world. If I was asked to repeat a line from a Marvel villain that wasn’t Loki or Ultron, I couldn’t do it. For every fascinating superhero they have, there are at least two villains like Malekith and Justin Hammer. As much as I love Marvel movies, it’s time to face the truth: with the exception of Loki and Ultron, Marvel has consistently written some pretty boring villains. They’re evil through and through, everything we see them do enforces that idea, and they almost always end up dead at the end of the movie. Sure, some of them can be super menacing, and others can have some awesome powers. 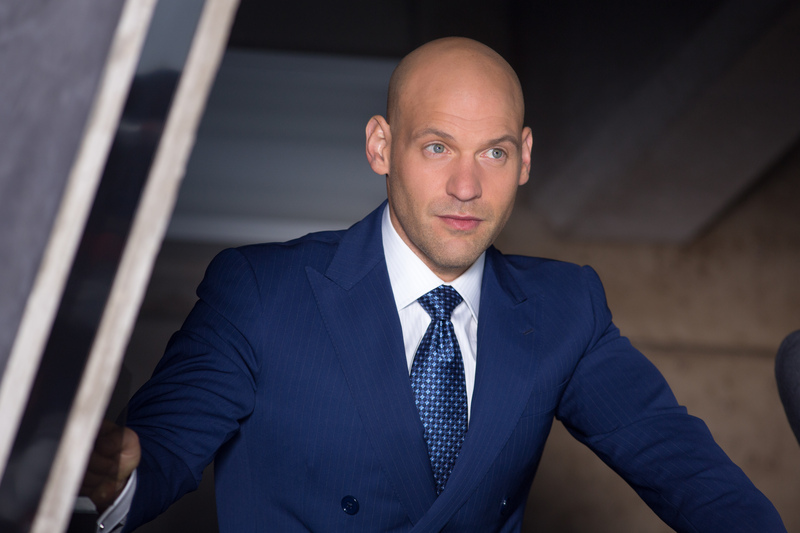 Corey Stoll’s Yellowjacket manages to harp on both of those points. But many viewers go see Marvel movies so often that we know what’s going happen, and therefore; perceiving the main villain as uber powerful isn’t enough to convince us that our favorite heroes are in any real danger. However, maybe this is by design. Their movies are usually marketed as family-friendly, and since superheroes have a huge appeal to children, perhaps the studio wants to teach a lesson that there’s nothing cool about being bad. I can understand that. But since that’s probably not the case, let’s brainstorm some ways that Marvel could make another truly interesting villain like Loki or Ultron. 1) Show him or her doing things that aren’t necessarily evil. Yes, bad guys have to have a major presence in a film, and they need to be portrayed clearly as a threat to the main character. But they’re still characters. I know people want to pretend like they’re categorically different than the villains portrayed on screen, but we’re all still people, which means villains have to be shown as such. Marvel Studios needs to flesh out their villains and make them feel more like believable characters. Does the big bad have a soft spot for puppies? Does the villain like to go rock climbing in his or her free time? If everything about them is evil, then they become really boring really fast. A fancy supersuit doesn’t make a character interesting. They have to have an interesting personality to match. 2) Give him or her a sense of humor. For a studio known for its lighthearted and humorous heroes, Marvel’s villains are pretty bland. Do you know why Loki and Ultron are so memorable? Because they have a personality! And those personalities are sometimes funny. Loki easily made Thor: The Dark World way more watchable than Malekith did. Are you wondering who Malekith is right now? Yes? Exactly. He was the main villain, and he was totally forgettable. Even Ultron had a dark sense of humor, and that made him so much more interesting to watch. 3) For goodness sake…no more rich white men. One of the easiest ways to make a villain more interesting is to stop using the same background for each character. The fact that I can currently count seven villains from Marvel properties that have just been rich megalomaniacs tells me that there’s probably something wrong with the way Marvel comes up with villains. Please guys. Just try anything other than this one character model. At the end of the day, I’m just a guy who likes movies. I have no experience writing for movie villains, but I along with many others know that something has to change in the way Marvel writes villains. Making better villains will be a step towards making better movies, and that’s something Marvel absolutely needs to do to keep people interested. What would you like to see in a Marvel villain?